As if a magnet the most ancient sights of Greece pull to themselves tourists. Warm sand, the crystal-clear sea and friendly, hospitable people will make your travel unforgettable. 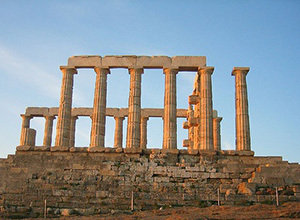 We bring to your attention to look at the description of the best sights of Greece. This significant place is the most popular and big museum of the capital of Greece – Athens. This sight is of very great importance in world culture. The national archaeological museum was constructed in 1829. It contains a huge number of sculptures, and also Santorini is a lot of various frescos from the island. Ancient exhibits strike with the quantity therefore to look at everything, you will need several days. Other not less popular and interesting sight of Greece ? Poseidon’s Temple. 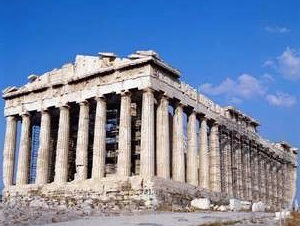 It was constructed in 440 B.C. also was acting to І centuries of our era. From this temple surprisingly beautiful view of the Aegean Sea opens. A large number of interesting legends and myths is connected with this sight, but most of tourists come to this place not behind it. Most of tourists come to Poseidon’s Temple to look at surprisingly beautiful decline to which not to be compared any in the world (at least, so consider those who saw this sight). Long ago it is known that only men can go on pilgrimage to Mount Athos. This sight is one of the most picturesque places of Europe. Hundreds of monks with all corners of the world live more than in 20 monasteries, each of which possesses a large number of frescos, mosaics and ancient libraries. Caves and slopes of this mountain of Greece are the popular place of pastime for hermits. A major activity of monks is care of gardens which beauty strikes even the most skilled and professional gardeners. Also popular places for pilgrims are untouched a civilization, pure seashores. It is interesting to know that Athos – the self-governed area of Greece therefore that to visit her, you need to take permission in the Ministry of Foreign Affairs of Greece which to be in Athens. It is known of it not so much, various data on this ancient sight are found. One consider that in 480 constructions of this construction were still conducted B.C., but others say that this year the temple was burned by Persians. Nevertheless, its ruins attracted and attract a huge number of tourists. The majority enters it in the travel across Greece, and many call one of the best sights of the world. Mikonos is the most popular and most expensive island from Greece. 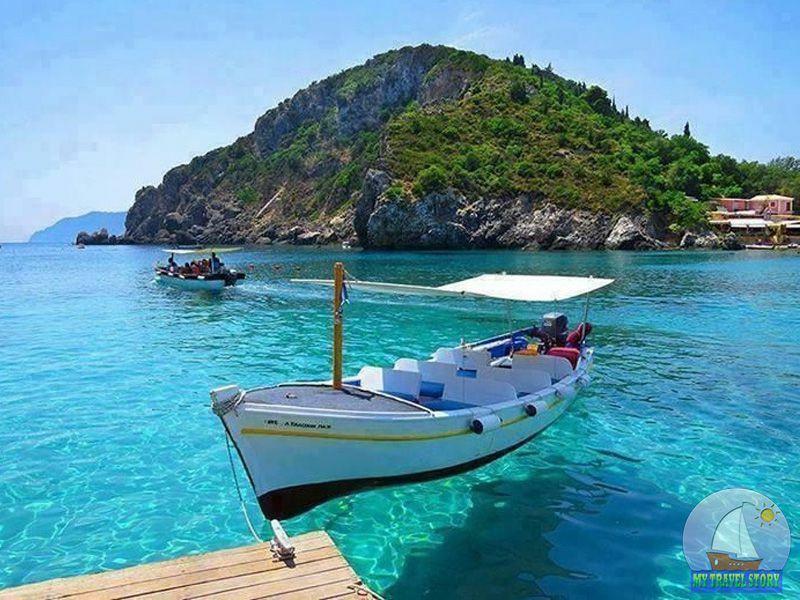 It is located in the southeast of the Aegean Sea. Mikonos is famous to all Greece for the sandy beaches and active night life for a long time. World famous DJs entertain tourists in many bars and clubs, and you can swim for a while in the crystal-clear sea which in Greece another and does not happen. The main town officially is called Mikonos, but it is known as Chorus that it means “city” to distinguish it from other part of the island. This unique city island represents a labyrinth of narrow streets which were thought up such to confuse pirates, which before a constituted a serious problem for the islands of Greece. Total number of resident population of the most expensive island of Greece about 9 thousand people, but in a year visit him more than 1 million tourists from around the world. This festival of sport, force and health was for the first time held in the 11th century B.C. It is devoted to the main god of mythology – to Zeus. History of modern games sights in 1896 when main types of sport of Ancient Greece were renewed. 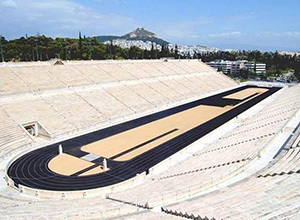 In 2004 she won the right for carrying out games, and then reconstruction of the Olympic stadium – a symbol of Greece began. He did not feel cardinal changes, but after reorganization he began to accomodate 70 thousand people, became much more convenient, and began to correspond to all safety rules. Now at the main stadium football matches, and also various concerts are played. Make to yourself a holiday, go to travel on sights of Greece and you will never regret. The huge number of the oldest sights will be struck with the beauty and greatness. Various excursions on the cities with ancient history will help to be transferred in those days when the civilization of Europe only arose.